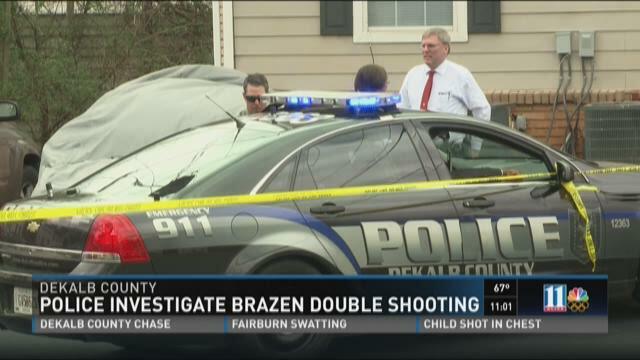 DeKALB COUNTY, Ga. -- DeKalb County police are investigating what they're calling a brazen double shooting that happened in broad daylight. As of Sunday afternoon, two victims are in the hospital and a suspect is still on the loose. 11Alive’s Ryan Kruger went to the Highlands of East Atlanta apartment complex to gather new information. 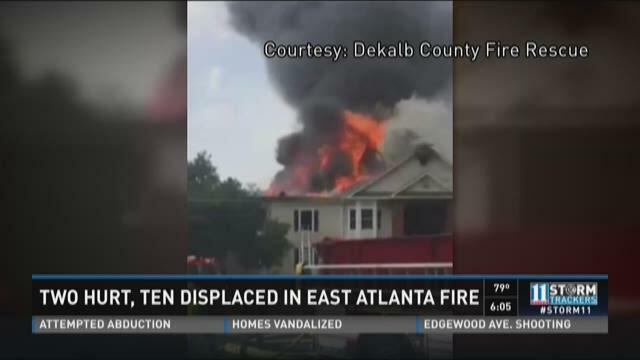 ATLANTA -- Fire officials believe an attempt to fight an apartment blaze on the east side of Atlanta was hindered by poor water pressure at a hydrant. The fire happened at Highlands of East Atlanta Apartments on the 2000 block of Flat Shoals Road, Saturday, and 10 units were destroyed. ATLANTA -- One person is dead after a police chase in Downtown Atlanta overnight. It began when officers tried to pull over a Ford F-150 pickup truck near the Georgia State Capitol. The driver sped away and onto Interstate 20. The truck later crashed into a tree near Moreland Avenue and Memorial Drive in East Atlanta. The driver was pronounced dead at the scene. Police said the truck was reported stolen. The driver has not been identified. Investigators said a man was driving the truck, but a witness who spotted the vehicle driving erratically and called 911 said a woman was behind the wheel. ATLANTA -- For the second time in less than a month, police responded to a break-in at an East Atlanta Italian restaurant. A witness watched a suspect break a window at Little Azio Pizza & Pasta in the 700 block of Moreland Avenue late Tuesday. Two officers arrived and found the suspect, 25-year-old Alonzo Raymond, trying to steal food items. Raymond was arrested and charged with burglary and second-degree criminal property damage. He was taken to the Fulton County Jail. Last month, someone broke into the same restaurant and stole four to six brownies. Police have not yet said whether they believe Raymond is responsible for that crime. ATLANTA -- Atlanta Police are trying to track down a suspected burglar who escaped arrest, but was caught on camera. Police say a young black male suspect with tattoos, short hair, and grey pants over red shorts was in the process of burglarizing a home on April 1. Police responded to the call in the 1700 block of Cecile Ave. SE, but he was able to escape. If you have any information about the suspect, the Atlanta Police asks you to call the Crime Stoppers Atlanta tip line at 404-577-TIPS (8477) or by text CSA and the tip to CRIMES (274637). Persons do not have to give their name or any identifying information to be eligible for the reward of up to $2,000.